New Delhi: The Supreme Court (SC) today dismissed an appeal by former Union Minister Dayanidhi Maran and reconfirmed a Madras High Court ruling that directed him to face trial in the decade-old illegal BSNL telephone exchange case. The Madras High Court had in March set aside a Trial Court order discharging Dayanidhi and his elder brother Kalanidhi Maran. Last week, it sent the case back to the Special CBI Court for trial and framing of charges within 12 weeks. The Special CBI Court had discharged Dayanidhi Maran, his brother Kalanidhi Maran and others accused in the case. The Trial Court had allowed the petitions filed by Maran brothers and others seeking their discharge, holding that there was no prima facie case against them. In 2013, the CBI had accused Dayanidhi of misusing his office and installing a virtual private telephone exchange at his residence in Chennai, which was used for business deals involving elder brother Kalanidhi’s enterprise, Sun Network. Dayanidhi Maran was Telecom Minister between June 2004 and December 2006 in the then Congress-led UPA Government. The agency had alleged that more than 700 high-end leased telecom lines were installed at the Maran residence in Chennai under the service category, against which bills were never raised. CBI had claimed that this ‘scam’ caused the exchequer a loss of almost Rs. 1.78 crore. The agency filed a chargesheet in the case on Dec. 9, 2016. 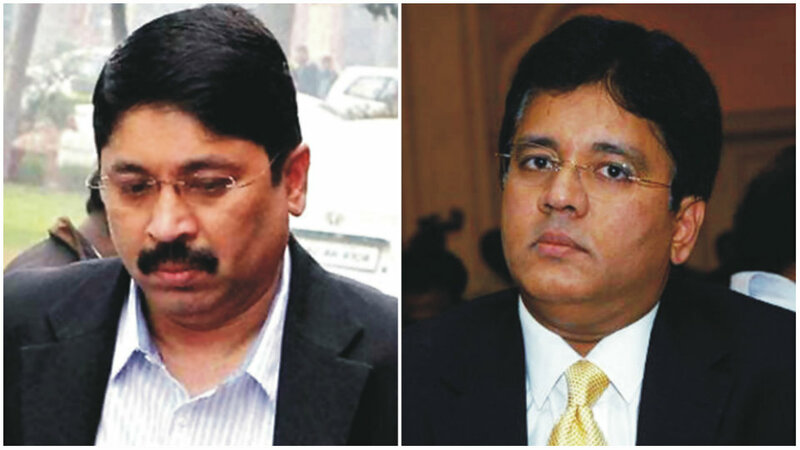 Assailing this order, the Maran brothers said the High Court had allowed the CBI’s appeal without affording them an opportunity of hearing the matter on merits. The order was in contravention of the statutory mandate of Section 40 (1) of CrPC and the principles of natural justice. They pleaded for quashing the High Court order. Dayanidhi Maran is a leader of DMK, which suffered electoral defeats in 2014 Lok Sabha elections, as well as in the 2016 Tamil Nadu Assembly elections, largely due to allegations of corruption against its top leaders. After being discharged by a lower court, Maran had said that the discharge would erase the taint on DMK. “I paid a heavy price. I resigned as Minister and lost elections. This is a big boost for the DMK. The party is a victim of witch hunt,” he had said earlier. The SC order may come as a set-back for Maran and DMK after being acquitted in the 2G case and Aircel-Maxis deal case. Several accusations of alleged scams by Ministers in the previous UPA government had shocked the nation, with Dayanidhi being one among them.